Created for the most demanding gamers and power users on the market, the Silverstone Raven Laser Gaming Mouse is here to fly through your window and peck out your eyes with dynamic features, easy handling, and insane good looks. Giving users the ability to fine-tune and customize their mouse movements, the Silverstone Raven utilizes a lightening-quick laser sensor capable of 3200 DPI, 50G's of acceleration, and the ability to independently adjust X & Y Axis on the fly. So what does this mean to you, the gamer? Well, it means you'll be able to experience pin-point accuracy and unparalleled control when going up against your online enemies. 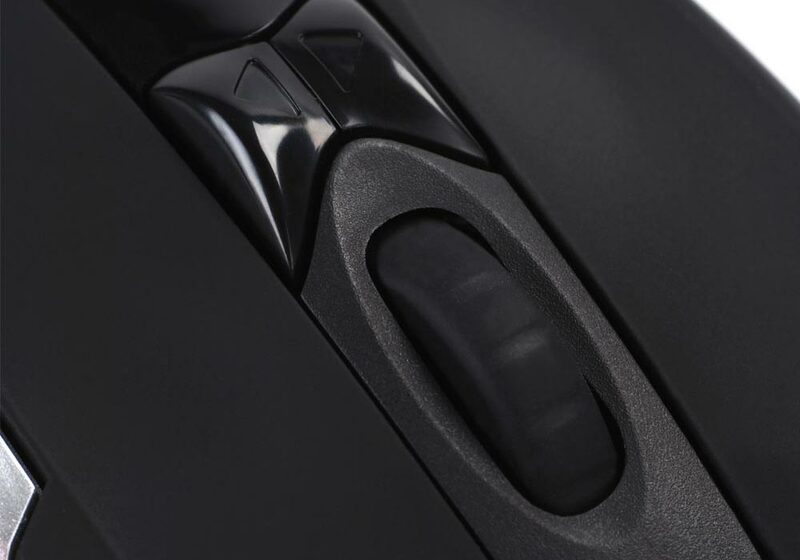 In addition, the Raven laser mouse even features a carbon-fiber surface, 50-50 weight balance, and a scrolling thumb-wheel that can perform quick task-switching and flip 3D.